Paul George and Jerami Grant both played brilliantly in Oklahoma City’s win against the Milwaukee Bucks. George finished with 36 points and 13 rebounds, Grant played some stellar defense against Giannis Antetokounmpo and ended up with 16 points and 5 blocks. After the game, the two had a post game interview together and decided to have some fun. In Freaky Friday fashion, the two switched personas. 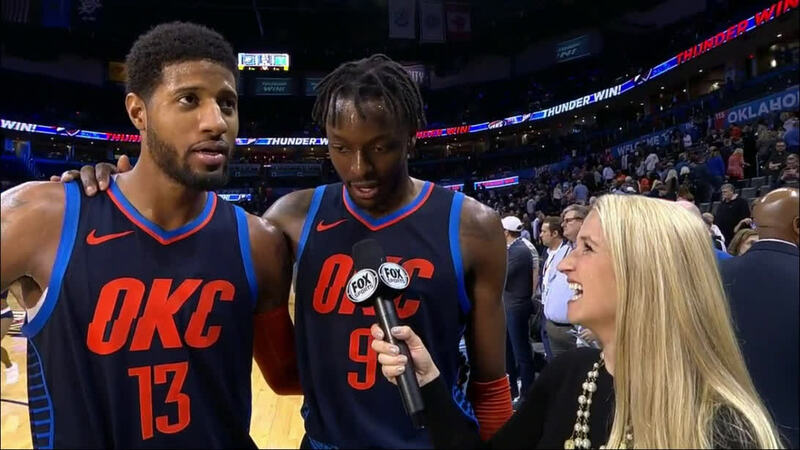 Paul George answered the questions directed towards Jerami Grant, as Jerami Grant, and Grant answered the questions directed towards George, as Paul George.